Quick and easy assembly using no tools. 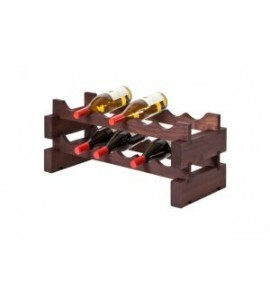 Being modular, you can easily add racking as your wine collection grows. •ColorBlast (1-4 colors) Crossbar or Beam or Frontbar available. 11” H x 19” W x 11-5/8” D; 7 lbs. •ColorBlast. (1-4 colors) Crossbar or Beam or Frontbar available. •Set-up Charge (one-time only): $40.00. Quick and easy assembly using no tools. 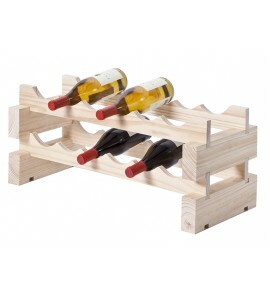 Being modular, you can easily add racking as your wine collection grows. 11” H x 21-1/4” W x 11-5/8” D; 7.5 lbs. •Laser Engraving on Crossbar or Beam available. •ColorBlast Crossbar or Beam available. Laser Engraving on Crossbar or Beam or Frontbar available. ColorBlast. (1-4 colors)Crossbar or Beam or Frontbar available. Quick and easy assembly using no tools. 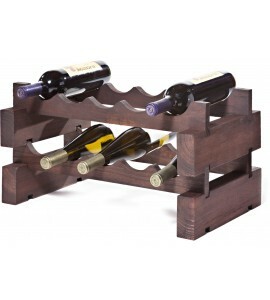 Being modular, you can easily add racking as your wine collection grows. 11” H x 26” W x 11-5/8” D.
Laser Engraving on Crossbar or Beam available. ColorBlast. Crossbar or Beam available. Quick and easy assembly using no tools. 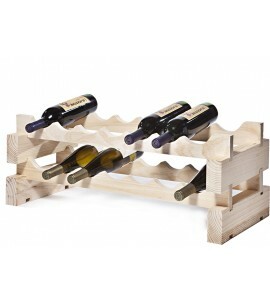 Being modular, you can easily add racking as your wine collection grows. 11” H x 29-1/2” W x 11-5/8” D; 8.5 lbs.